A brilliant and beautifully written novel in the tradition of Robert Graves, Augustus is a sweeping narrative that brings vividly to life a compelling cast of historical figures through their letters, dispatches, and memoirs. A mere eighteen years of age when his uncle, Julius Caesar, is murdered, Octavius Caesar prematurely inherits rule of the Roman Republic. Surrounded b A brilliant and beautifully written novel in the tradition of Robert Graves, Augustus is a sweeping narrative that brings vividly to life a compelling cast of historical figures through their letters, dispatches, and memoirs. To ask other readers questions about Augustus, please sign up. Reading Augustus at the moment, i feel compelled to compare it with "I Claudius", my question: is the format of using the multiple viewpoints a plus or a minus in your opinion? How to describe this painstakingly detailed, compellingly readable, simply complex, fictionalised biography, that explores the high price of duty, and is set in ancient times but is painfully relevant in 2017? Not like that. There are myriad perspectives: it’s like viewing the ancient world through a kaleidoscope or the facets of a gemstone. Or maybe it’s more like a hall of mirrors and windows, where you’re barely sure which is which and what distortions there may be. Versailles, perhaps: anothe How to describe this painstakingly detailed, compellingly readable, simply complex, fictionalised biography, that explores the high price of duty, and is set in ancient times but is painfully relevant in 2017? Not like that. Or maybe it’s more like a hall of mirrors and windows, where you’re barely sure which is which and what distortions there may be. Versailles, perhaps: another palace of opulence and intrigue. It is non-linear: like a narrative tapestry, sewn with backstitch. It’s a scrapbook of documents and fragments in different styles, and for different purposes (a little like the Bible). There’s a woman’s sexual awakening: her acknowledgement and embracing of it, regardless of taboos and risks. An adoring father ensures his daughter has the education usually denied to girls. There is an agonising sacrifice, a cruel example of being hoist by one’s own petard. The storytelling is like Charon’s gently rocking boat, like Augustus’ final journey: the shimmering reflections are disorienting, and the direction is unpredictable, but the destination is sure. The story starts just before the murder of Julius Caesar, leaving his great nephew and adopted son, Gaius Octavius, as heir. He is young (18), academic rather than martial, with slightly poor health, quietly spoken, inscrutable, loyal to friends, but is shrewd. The story ends when Octavius, now Emperor Augustus, dies aged 76. In between there are complex machinations: rumours, political plots, wars, marriages and divorces of convenience, births, deaths, assassinations, friendships forged and broken, rituals, parties, and journeys - literal and metaphorical. There are three parts. The first is mostly political scheming and battle tactics, told and spun by men. The second gives voice to many of the women, especially Augustus’ adult daughter, Julia. There’s still political and domestic intrigue, and some male narrative, but there’s a more human and intensely personal face as well. In the short third part, we finally hear from the eponymous emperor as he evaluates his long life and anticipates his imminent death and the consequences for his empire and people. This book could just as easily have borne the name of Augustus’ daughter. It’s almost as much about her, and we read far more of her words than his. She sometimes wields influence and lies to her own advantage (as well as being a victim of such), but because we hear her through her private journal, she seems the most honest of anyone. We understand her motives and her desires. Especially her desires. I came to love Julia. Power and wealth come with a price. The plot is full of manipulation, sometimes selfish and sometimes altruistic, but the deeper theme is the huge personal cost of submitting to fate and duty. Augustus’ sister Octavia, married and remarried at her brother’s dictat, says “I sometimes think that the meanest slave has more freedom than we women have known.” But another woman, closer to the emperor's heart suffers more. And Augustus himself, nearing death, believes his life “accommodated to… public necessity” and thus, “I have been more nearly ruled than ruler.” I'm not sure if he makes final peace with his role in the fate of his beloved daughter. I read this as Donald Trump was inaugurated as President of the United States and when the news was full of discussion and fear about temperament, power, and truth versus "alternative facts"
Sometimes people knowingly defend and spread outright lies for their own benefit. Here, that’s Augustus accepting Marcus Antonius’s description of his Parthian disaster as a triumph. The hope was that he would desert Egypt (and Cleopatra) to become a true Roman again, and the need was to inspire citizens ground down by years of war and civil war. Everyone has an agenda, whether it be mere survival or something more selfish and acquisitive, and motives change with circumstances. How can one know what is true and who to trust? "He discovered in all others those vices he would not recognise in himself." Julia, on Livia's son, Tiberius. Or possibly contemporary political commentary. John Williams wrote three brilliant, but very different novels (plus a youthful novella he later disowned). They’re ostensibly about complex relationships between men, but in utterly different settings. This is about politics and war in ancient Rome. Women’s power is mostly covert. Butcher’s Crossing is a bildungsroman about a privileged 19 century young man on a long and perilous buffalo hunt. Women barely feature. Stoner is about a quiet man who loves and lives for literature in academia. The few women in it are seen from the perspective of and in relation to men. That makes the strong female narrative in Augustus all the more surprising. But here, as in Stoner, the intense and devoted father-daughter relationship of childhood is tragically sacrificed: the lesser of several evils, for the greater good. See the end of my review of his first (disowned) novel, Nothing But The Night, HERE, for a comparison of all four. Alcuni errori di fatto, in questo libro, sono voluti. Ho modificato l’ordine di numerosi avvenimenti. Ho inventato là dove i dati storici sono incerti o incompleti. E ho creato alcuni personaggi cui la Storia non fa cenno… Tranne poche eccezioni, i documenti che formano questo romanzo sono inventati… Ma se in questo lavoro sono presenti delle verità, sono le verità della narrativa più che della Storia. Sarò grato a quei lettori che lo accoglieranno per quello che vuole essere: un’opera dell’immaginazione. Qui, e a seguire, rappresentazioni scultoree di Gaio Giulio Cesare Ottaviano Augusto, il primo imperatore romano, dal 27 A.C. al 14 D.C.
Questo si legge all’inizio, e non alla fine, dell’opera. E già questo dovrebbe convincere a lasciar perdere l’attendibilità storica, il confronto testo-a-fronte. Ma la Storia non conosce la verità, ammesso che la Storia possa mai conoscerla. E forse è stato proprio questo a spingere il filologo e storico Luciano Canfora a bocciare il romanzo di Williams proprio sul piano della veridicità storica – con inutile puntiglio accademico, con una serie di motivazioni che lasciano il tempo che trovano. Williams imbastisce la sua narrazione con una collazione di testi e fonti: carteggi, diari, testimonianze, documenti ufficiali. Per oltre trecento pagine Augusto esiste solo attraverso quello che di lui riportano coloro che lo hanno conosciuto, frequentato, amato, servito, ubbidito, temuto, combattuto, tradito. Il collage si compone di molte voci, sfalsate nel tempo, oppure contemporanee ai fatti: toni diversi, punti di vista diversi, angolazioni diverse, piani temporali diversi. Un coro di voci che racconta bene il tempo e il protagonista, in certi momenti costruendo perfino suspense, in altri regalando autentiche sorprese (su tutte, la descrizione di Roma che fa Strabone al suo amico Nicolao di Damasco, una città 43 anni prima della nascita di cristo che fa venire in mente la Ville Lumière, e anche la Grande Mela). Augusto fu investito dalla Storia che era ancora adolescente: il suo corpo fragile fu una costante che sconsigliava dal ritenerlo duraturo. Eppure, nonostante le frequenti malattie, si sottopose a fatiche non comuni: oltre le battaglie, le vittorie, le conquiste, riportò pace unità e diritto a Roma, donandole quarant’anni di stabilità e prosperità. Questo, la lunga pace, fu il suo più grande successo: il suo poema, paragonabile a quelli degli amici poeti, letterati, filosofi con cui amava intrattenersi (Virgilio, Orazio, Ovidio….). Peccato che la terza parte del libro sia totalmente diversa dalle prime due, poliedriche, agili, leste, leggere, spedite, snelle… La terza è un blocco monolitico, un'unica lunga lettera di Augusto, quarantacinque pagine di cui davvero non sentivo il bisogno. C’era già tutto, non mi pare che la diretta voce di Augusto aggiunga dettagli o novità. Come mi è già successo, un autore che mi ha regalato letture meravigliose (Stoner, Butcher’s Crossing) mi delude parzialmente proprio nella sua opera più famosa e premiata (National Book Award). I barbari aspettano. Ma Roma non cadrà davanti a loro, cadrà alla fine davanti a quel barbaro cui nessuno si sottrae… il Tempo. This is more than a lush recreation of the nuanced menace of diplomatic skirmishing and Machiavellian intrigue, public guilelessness and carnage that gave birth to the Roman Empire under the ruling of its first Emperor. 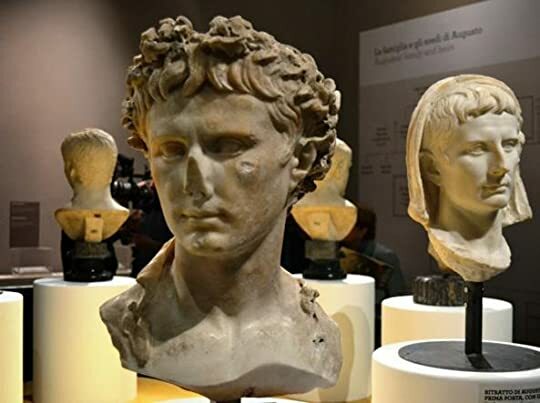 This is more than a walk through the path of history because it takes unusual detours of borrowed memories penned by secondary historical figures that surrounded Octavius Caesar Augustus. Delivered in a non-chronological letters that carry moments of high pathos spanning over sixty This is more than a lush recreation of the nuanced menace of diplomatic skirmishing and Machiavellian intrigue, public guilelessness and carnage that gave birth to the Roman Empire under the ruling of its first Emperor. Delivered in a non-chronological letters that carry moments of high pathos spanning over sixty years, the image of the Caesar is multi-dimensionally painted through the colorful tapestry of manifold perspectives, and his flaws, ambitions and human incongruities are so incredibly detailed that not much is left to the imagination. The physical and psychological portrait of the two-faceted Emperor that Williams moulds with obsessive pulchritude; invincible earthly god and torn man, is not only convincing, but also devastatingly real. To me, Williams’ historical epic is the epitome of the epistolary genre and the resulting legacy of a supremely executed labor of love for words, poetry and humbling introspection. “Inopem me copia fecit” (view spoiler)[ my plenty makes me poor (hide spoiler)], Ovid forewarns in his magnum opus Metamorphoses; something Octavius came to understand only too well right after Julius Caesar’s assassination, the fresh outbreak of civil war and the eventual foundation of the triumvirate composed of Octavius, Marcus Antonius and Aemilius Lepidus gave him the throne of the world. Besides presiding the altar of Rome Octavius was slave to his own notion of justice and freedom, becoming, in his self-demanding eyes, a botched caricature of the man he aspired to be. Forty years of relative peace and Roman splendor ensued… but at what expense? Can the man live up to the consequences of his acts and disguise his turmoil with the unflinching ease of the almighty sovereign? Octavius had two lifelong love stories that cost him his soul and peace of mind. His daughters: Rome and Julia. The first deprived him of his free will, the second of his good judgement. And they both ended up betraying him. For the sake of a fiery passion, Julia conspired against her own father and was banished to the barren island of Pandeteria, condemned to become Octavius’ particular Miranda. But unlike Prospero, the ruler of the Empire couldn’t save his daughter by renouncing to his power. Time also turned Rome against its legitimate master. It fell under the dominion of barbarian hands that tainted Octavius’ vision of a glorious future. And yet, in the third and closing section of the book, where the aged Emperor writes to his old friend Nicolaus of Damascus, historian and philosopher, as he faces up his longest journey ever, as he recapitulates the undeniable triumphs accumulated during his public life, he embraces love as the most pure and enduring force of all without a shred of regret, spite, or self-pity. Instead, as the sunlight caresses his wrinkled face and flecks of white foam sparkle the briny breeze, kissing the waves that slap gently against the deck of his ship, Octavius finds some symmetry in his uneven existence and reaches the comforting conclusion that like the poets Ovid, Virgil and Horace, whose artistry set them free, his torment was a privilege, his curse a blessing, and his unconditional love for Julia, and for Rome, in that precise order, were the secret catalyst that made him vulnerable… and invincible. Like the poet for his words, like the philosopher for his doctrine, Octavius allowed himself to be disintegrated under the weight of his own contradictions for the sake of an ideal; that of peace and equal prosperity. Neither triumphant nor defeated, the man touches the divine when he is moved by the beauty of his Arcadian dreams, but never by his achievements. And yet a third perfect book by this inimitable author who was working at the very height of his powers. I now know that I will never again come across a book such as this. I actually didn’t want to finish it as I felt that I had to continue in this enthralling dream. What disturbs me, however, is the downside that when one has loved something/someone so much, those following, well to my mind anyway, will only be substitutes which in itself is rather a sad state of affairs. As I read this book I And yet a third perfect book by this inimitable author who was working at the very height of his powers. I now know that I will never again come across a book such as this. I actually didn’t want to finish it as I felt that I had to continue in this enthralling dream. What disturbs me, however, is the downside that when one has loved something/someone so much, those following, well to my mind anyway, will only be substitutes which in itself is rather a sad state of affairs. As I read this book I was transported back to my university days when I was constantly taking notes but it is different here because I have resorted to 3M post- it notes which practically cover every page whenever an appropriate sentence or word has struck me. Where can one possibly begin with this remarkable individual? This is the life of Augustus as can be seen by the cover but this isn’t an ordinary novel as it is written in the epistolary style and for the first page this did concern me but as the book progresses and develops, the fictitious memories, letters and dispatches describe a more intimate aspect of the life of the first Roman Emperor which suits this work exactly. In fact, I do not believe that this could have been achieved in any other way. When I recall studying this period whilst at school, I found it all rather heavy to take in and actually rather bland and the textbooks were often rather tedious, the only exception being the battle of Atrium. Now that was a splendid battle indeed. Williams admitted that he did change certain historical events from this period but he also stressed that this was a novel of his own invention. Individuals who were not covered in depth in everyday history were also brought in, such as Julia, the daughter of Augustus. As I read Julia’s journal written on the island of Pandateria where she was in exile, the intimacy of her writing in parts was so touching that it was difficult to continue reading the text. For such a spirited and passionate woman as Julia, she must have suffered to be forced to marry three times for the convenience of Rome and for her father. Two husbands died and she was very fond of Marcus Agrippa but because of his death, she was forced to marry Tiberius. She detested him with a passion. Thus it took a while for her to conceive and shortly after the child was born, a boy, it died. After this Tiberius and Julia went their separate ways. Julia was never to experience any form of a sensual, idealistic love and a meeting of the minds until finally a man came into her life that brought such love and passion, but who regrettably would be responsible for bringing about her own ruin. No man has touched me since that afternoon. No man shall touch me for as long as I shall live. And she would remember that up until her death. In the consulships of Octavius Caesar, the August, and Marcus Plautius Silvanus, I, Julia, daughter of the Emperor, was accused before the Senate convening in Rome of adultery, and hence of the abrogation of the marriage and adultery laws that my father had passed by edict some fifteen years before. My accuser was my father. He went into great detail about my transgressions; he named my lovers, my places of assignation, the dates. In the main, the details were correct, thought there were a few unimportant names that he omitted……..He described drunken revels in the Forum and debaucheries upon the very rostrum from which he had first delivered his laws; he spoke of my frequentation of various houses of prostitution, implying that out of perversity I sold myself to anyone who would have me; and he described my visits to those unsavory bath establishments which permitted mixed bathing and encouraged all manner of licentiousness. These were exaggerated, but there was enough truth in them to make them persuasive. And at last he demanded that, in accordance with his Julian Laws, I be exiled forever from the precincts of Rome, and requested the Senate to order me placed on this Island of Pandateria, to live out the rest of my life in contemplation of my vices. If history remembers me at all, history will remember me so. But history will not know the truth, if history ever can. It was because Octavious Caesar truly loved his daughter and because of laws initiated by him that he had to denounce her himself, thus saving her from being executed as the Senate would have ensured. He never spoke to her again and she was never allowed to be discussed in his presence. It is not until we come to Book 3 when Octavious writes a rather long letter to an old friend, Nicolaus of Damascus (A.D. 14) that the true reasons are exposed for his behaviour towards his daughter. It was one of those curious moments in the confusion of warfare with which all soldiers are familiar. The vessel which carried Caesar Augustus and my own ship had come so close together that we could look into each other’s eyes and could even shout to be heard above the furor; not thirty yards away, where it had been pursued and then left, was the ship of Marcus Antonius. I believe that all three of us saw the purple sail of Cleopatra’s departing flagship at the same time. None of us moved; Antonious stood at the prow of his ship as if he were a carven figurehead, looking after his departing Queen. And then he turned to us, though whether he recognized either of us I do not know. His face was without expression, as if it were that of a corpse. Then his arm lifted stiffly, and dropped; and the sails were thrust into the wind, and the great ship turned slowly and gathered speed, and Marcus Antonius followed after his Queen. We watched the pitiful remains of his own ships that escaped the slaughter, and we did not attempt to pursue. I did not see Marcus Antonius again. Maecenas introduced Octavious to poets that he would never ordinarily have met. Vergil, Horace, Cicero, etc. and this led to my searching through all my reference books for further information on them. And as for Cicero’s death, undoubtedly a very unpleasant end but I was full of admiration for this individual on how he handled this. He had style in the face of adversity. There is no doubt that Williams has succeeded admirably by writing an epistolary novel and bringing to life this remarkable and yet very unusual Roman of his time. I’m sad though that there is only one more book of Williams to be read Nothing But the Night. His first novel, of which he was somewhat dismissive, and of which I have ordered a copy and his poetry, which regrettably I am unable to find. As stated before, a perfect book and yet so difficult to describe. It never ceases to amaze me that when one truly loves something, it is so, so difficult to find the right words. As if it is of such a private nature, that one cannot enter within and that is indeed true of Williams, who had his own inner sanctum. John Williams read some Robert Graves and said, "Yeah, I got this Roman. I can do this." I'm trying to think of equivalent historical fiction that orbits the same level of prose mastery: Norman Mailer, Robert Graves, Hilary Mantel, E. L. Doctorow and a few others belong on this very short list. I've never been particularly interested in political novels or had any great fascination with ancient Rome, but this beautifully written novel held me transfixed nonetheless. It's a cliché to say it "brings history alive," but it does indeed bring history alive. Told in epistolary form as a compendium of letters and journal entries by characters both integral and incidental, we get to know Octavius Caesar the August from the perspective of those who love him and of those who despise him, but we I've never been particularly interested in political novels or had any great fascination with ancient Rome, but this beautifully written novel held me transfixed nonetheless. It's a cliché to say it "brings history alive," but it does indeed bring history alive. Told in epistolary form as a compendium of letters and journal entries by characters both integral and incidental, we get to know Octavius Caesar the August from the perspective of those who love him and of those who despise him, but we don't hear directly from the titular character until near the end of the novel (and the end of his life), as he writes to an old friend and ruminates in moving fashion over his accomplishments and regrets, his beloved city of Rome, and the legacy he leaves behind. These multiple viewpoints give Augustus a richness and believability that almost makes one forget that one is reading a masterful work of historical fiction and not a collection of actual historical documents, yet it still reads like a novel, not a history. From a historical novel there is not much else one can ask. John Williams' three novels are distinctly different from each other. Often, if you like one book by a specific author, it's safe to assume that if you pick up another, you will be served something similar - in topic, tone or language. But each of Williams' novels are - without compromise - true to their own, unique concept. So is the case with Augustus. While Stoner is mostly a campus novel and Butcher's Crossing a western, Augustus is an epistolary novel on the rise and reign of Gaius Octavius, John Williams' three novels are distinctly different from each other. Often, if you like one book by a specific author, it's safe to assume that if you pick up another, you will be served something similar - in topic, tone or language. But each of Williams' novels are - without compromise - true to their own, unique concept. So is the case with Augustus. 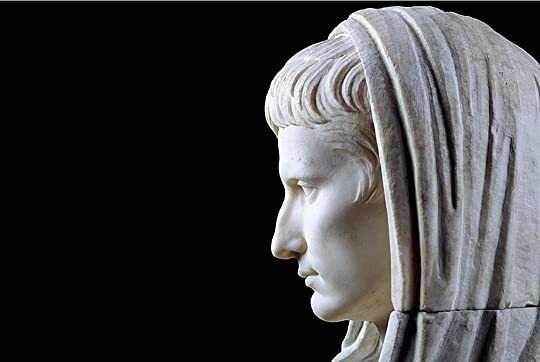 While Stoner is mostly a campus novel and Butcher's Crossing a western, Augustus is an epistolary novel on the rise and reign of Gaius Octavius, known as Emperor Augustus. In addition to letters, it also contains journal entries, military orders, reports and autobiography excerpts. The emperor himself is, for the most part, seen from the outside. The people telling the story are mostly nobles, politicians or military leaders, but there are also some regular citizens that gets to tell their stories. 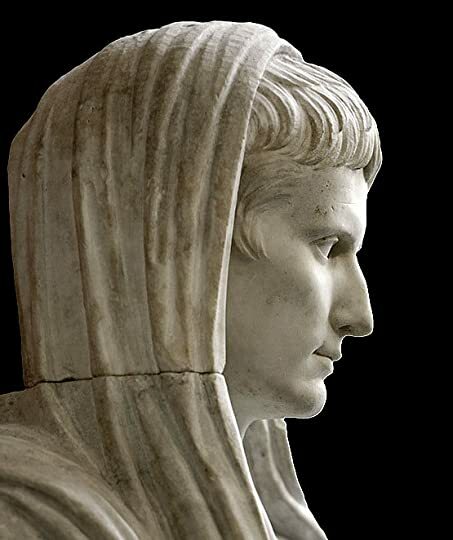 Together, these writings make a choir of voices that encompasses the whole of Augustus' life. The first half of the book describes Augustus' rise to power, the second half his reign and the life of his daughter, Julia. The fact that Williams managed to put all of this together in a way that works so well, is nothing less than impressive. Not once while reading could I say to myself "this could have been handled differently" or "this should have been shortened down". I know that some of the historical events in the book are not accurate, but the world building is excellent and gives us a believable version of ancient roman society. Augustus is, as far as roman emperors go, an enigma. He hid his motivation, his plans, his ambitions. He was a very private person, difficult to read. Maybe this explains Williams' interest in him? He would make a good candidate for a literary main character. An author can fill this character with his own imagination. His secrecy and historical unknowability makes him moldable. 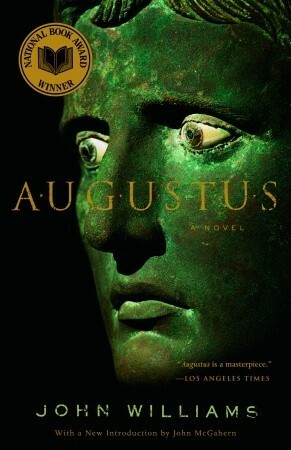 In spite of all this, Augustus' only child, Julia, is maybe the most fascinating character in the book. Her journal entries looks back on her entire life, and like most of the other characters, it was a very intense and dramatic one. She tells us of her development from child to adult in more detail than the letters describing Augustus. We see her married several times and then discovering her own identity outside of the constricting life of a roman noble - a short lived freedom that is soon snatched away from her. All of this is framed with the experience and wisdom of the much older Julia, looking back on it all. We can be certain that Williams' Augustus loves his daughter very much. And his closest friendships are also extremely important to him. But Augustus is very self disciplined, and sometimes cold - he is willing to do whatever needs to be done to keep the Empire together and secure his own power. He uses his family and friends as pawns, arranging marriages for them to secure allegiances - and he does this in several rounds. Both Julia and Augustus' sister suffers because of this. Was Augustus a good guy or a bad guy? Was he a hero and the gathering force of the Empire, or was he a dubious, rotten aristocrat willing to do anything to gain power? The question of what power does to people is an important theme throughout the book. Without concluding definitely what kind of person Augustus was, the book brings out all the nuances and all the doubt troubling a person with so much power - and so much to lose. It is exciting to see the power struggles in the Roman Empire, especially in the first half of the book. Μετά τον Στόουνερ,άλλο ένα υπέροχο αλλά και τόσο διαφορετικό βιβλίο απο τον Τζον Γουίλιαμς τον νέο μου λογοτεχνικό έρωτα. Σπάνια διαβάζω δυο βιβλία απο τον ίδιο συγγραφέα σε τόσο σύντομο χρονικό διάστημα αλλά δεν μπόρεσα να αντισταθώ στη γοητεία της αρχαίας Ρώμης με την οποία ασχολείται ο Γουίλιαμς σε αυτό το βιβλίο και συγκεκριμένα με την γέννηση της Ρωμαϊκης Αυτοκρατορίας και την ζωή του πρώτου αυτοκράτορα Οκταβιανού. Ο Ιούλιος Καίσαρας δολοφονείται κι εμείς παρακολουθούμε τα επακόλουθα μέσα απο Μετά τον Στόουνερ,άλλο ένα υπέροχο αλλά και τόσο διαφορετικό βιβλίο απο τον Τζον Γουίλιαμς τον νέο μου λογοτεχνικό έρωτα. Η ιστορία είναι λίγο πολύ γνωστή στους περισσότερους πιστεύω ,η κόντρα με τον Αντώνιο και την Κλεοπάτρα,με τον Πομπήιο,οι μάχες,οι μακιαβελικές ίντριγκες...αλλά ο τρόπος με τον οποίο την μεταφέρει ο συγγραφέας μέσα απο πολλες οπτικές γωνίες είναι ,θα έλεγα,αριστουργηματικός.Ο ίδιος ο αυτοκράτορας δεν μας μιλάει μέχρι το τέλος του βιβλίου οπου λίγο πριν πεθάνει γράφει μια επιστολή-απολογισμό της ζωής του. Αυτό που αγαπώ στη γραφή του Γουίλιαμς είναι ο τρόπος με τον οποίο προσεγγίζει τα συναισθήματα των ηρώων του με μια ευαισθησία που με αγγίζει βαθύτατα.Αυτή τη φορά μας μιλάει και με τη φωνή μιας γυναίκας.Της μοιχαλίδας κόρης του αυτοκράτορα, Ιουλίας που έγινε πιόνι στα παιχνίδια εξουσίας και κατέληξε εξόριστη σε ένα ξερονήσι και στο ημερολόγιο της μιλάει για την μοναξιά της,την παραίτηση της απο τη ζωή,τoν τρόπο που μετά απο δυο γάμους συμφέροντος κατάλαβε οτι έχει κι αυτή δικαίωμα στον έρωτα και στις χαρές του σεξ αν και ως γυναίκα έπρεπε να το πληρώσει ακριβά. Good historical fiction is some of the best fiction - this book didn't disappoint. Fans of Williams' Stoner and Butcher's Crossing will find plenty to love; the author's recognizable compact writing style and rich imagery are on display throughout this book. A reader isn't required to have a vast knowledge of Roman history between 50 BC and 50 AD, but it certainly helps. Reading this book shortly after finishing Appian's Civil Wars was the right decision for me. Williams' particular talent allows him to create an epistolary work with numerous voices that are individually unique (Marc Antony's entries were my favorite and were written exactly how I envisioned he would write). Μετά τον "Στόουνερ", δεν περίμενα κάτι σχεδόν το ίδιο σπουδαίο. Κι όμως, ο John Williams καταφέρνει και μ' αυτό να σε καθηλώσει. Παρ' ότι το θέμα δεν είναι στα ενδιαφέροντά μου, η ιδιαίτερη γραφή μου κράτησε το ενδιαφέρον ως την τελευταία σελίδα. "Γιατί ένας λαός μπορεί να αντέξει απίστευτες και μαύρες και ατέλειωτες αποτυχίες χωρίς να σπάσει. Μα αν του δοθεί μια στιγμή ανάπαυλας και μια μικρή ελπίδα για το μέλλον, δεν θ'αντέξει την αναπάντεχη απώλειά της." "Εγώ, ωστόσο, σαστίζω πάντα όταν μέσα στην άνεση της ειρήνης οι άνθρωποι αρχίζουν τους ύμνους και τις κατηγόριες. Τώρα απ' όποια μεριά κι αν γέρνει η κρίση τους μου φαίνεται άπρεπη - και μάλιστα στον ίδιο βαθμό. Γιατί αυτοί που κρίνουν έτσι, δεν το κάνουν επειδή τους νοιάζει το δ Έξοχο! "Εγώ, ωστόσο, σαστίζω πάντα όταν μέσα στην άνεση της ειρήνης οι άνθρωποι αρχίζουν τους ύμνους και τις κατηγόριες. Τώρα απ' όποια μεριά κι αν γέρνει η κρίση τους μου φαίνεται άπρεπη - και μάλιστα στον ίδιο βαθμό. Γιατί αυτοί που κρίνουν έτσι, δεν το κάνουν επειδή τους νοιάζει το δίκαιο και το άδικο. Το κάνουν είτε για να διαμαρτυρηθούν και να καταδικάσουν τις αμείλικτες απαιτήσεις της ανάγκης είτε για να τις εγκρίνουν και να τις δικαιολογήσουν. Και ανάγκη είναι απλούστατα αυτό που συνέβη. Ανάγκη είναι το παρελθόν." Μια μυθιστορία της εποχής και της ζωής του Οκταβιανου Καίσαρα μέσα από τις επιστολές, τα ημερολόγια και τις σημειώσεις προσώπων της εποχής. Το κείμενο ρέει εύκολα και η αφήγηση είναι ακριβής ιστορικά και σε πρόσωπα και καταστάσεις και χαρακτήρες. Ο Williams για άλλη μια φορά δίνει μια τίμια απεικόνιση ενός γεγονότος και ενός προσώπου, όχι φανταστικού όπως ο Στοουνερ. Ο τρόπος γραφής δεν βοηθάει την ταύτιση με πρόσωπα αλλά σίγουρα η εμφάνιση της κόρης του Ιουλίας, που είναι και το κομβικό πρόσωπο Μια μυθιστορία της εποχής και της ζωής του Οκταβιανου Καίσαρα μέσα από τις επιστολές, τα ημερολόγια και τις σημειώσεις προσώπων της εποχής. Το κείμενο ρέει εύκολα και η αφήγηση είναι ακριβής ιστορικά και σε πρόσωπα και καταστάσεις και χαρακτήρες. Ο Williams για άλλη μια φορά δίνει μια τίμια απεικόνιση ενός γεγονότος και ενός προσώπου, όχι φανταστικού όπως ο Στοουνερ. Ο τρόπος γραφής δεν βοηθάει την ταύτιση με πρόσωπα αλλά σίγουρα η εμφάνιση της κόρης του Ιουλίας, που είναι και το κομβικό πρόσωπο του έργου, στην σελίδα 260, μεςτατρεπει το βιβλίο από ιστορικό αφήγημα σε εσωτερικο μονόλογο και αναστοχασμο. Πανέξυπνη ιδέα να αφήσει τις τελευταιες 50 σελίδες στον Αύγουστο με μια επιστολή εξομολόγηση του έργου και της πορείας του. Πραγματικά εκεί ο συγγραφέας μιλάει για άλλη μια φορά για την ζωή στο πέρασμα του χρόνου, με σκέψεις σχετικά με την θέση του ανθρώπου στην πορεία μιας ζωής, σκέψεις που έσπειρε εξίσου αριστοτεχνικα και στον Στοουνερ. Εξάλλου η εποχή που περιγράφει είναι από τις πιο ενδιαφέρουσες στην ιστορία της Ρώμης. Απόδειξη ότι ξεκίνησα ήδη να διαβάζω το SPQR της Beard! Για έναν αναγνώστη σαν και μένα, γνώστη της ρωμαϊκής ιστορίας και ειδικά λάτρη του κομβικου μυθιστορηματος του Γκρειβς, Εγώ ο Κλαύδιος, το βιβλίο μου φάνηκε λειψό. Ίσως να περίμενα κάτι άλλο. Ίσως να ήθελα μια πιο φιλολογική προσέγγιση εδώ, μια μεγαλύτερη διάθεση αυτοκριτικής και στοχασμού από τα πρόσωπα και όχι μια απλή παράθεση γεγονότων, δεδομένο που μου ήταν ήδη γνωστό και ένοιωθα ότι διάβαζα κάτι που ήξερα ήδη. Augustus is, in my opinion, the best of Williams’s novels. 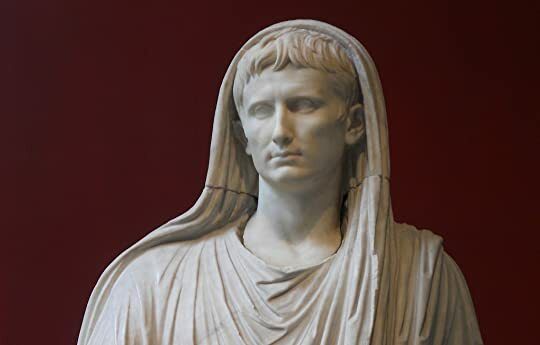 Augustus was such an instrumental figure in Roman history, though he is often overlooked in popular memory in favour of the more turbulent and often shocking times that came before and after his reign of relative stability. But his story is truly remarkable: how did this unknown boy of nineteen, with little more than the promise of a name, manage to rise and overcome men with far more power and experience? I think what makes this period Augustus is, in my opinion, the best of Williams’s novels. 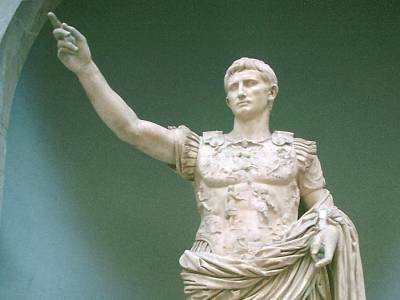 Augustus was such an instrumental figure in Roman history, though he is often overlooked in popular memory in favour of the more turbulent and often shocking times that came before and after his reign of relative stability. But his story is truly remarkable: how did this unknown boy of nineteen, with little more than the promise of a name, manage to rise and overcome men with far more power and experience? I think what makes this period of history so compelling is how well it encapsulates the human struggle. On display is the worst of human vice and depravity: the desire for wealth, power, glory, excess, violence – balanced by concerns of duty, order, honour, family, and love. The history of Rome plays out like the struggle of man against his own nature, and the rise of Rome itself represents in many ways the triumph of civilization over barbarism (flawed though this interpretation may be). By studying Roman politics we can understand something about the nature of power and the uncertain foundations on which it is built. The fall of the Roman republic forces us to question the stability of democratic systems and acknowledge the tendency for power to consolidate. This tendency had been a visible feature of Roman politics since Marius and Sulla, but the weakness was becoming apparent even in the Punic era with the elevation of figures like Scipio Africanus to a status above their peers. So, was Augustus a legendary figure who against all odds established an empire that would last for half a millennium, or was he simply playing his role in expediting the inevitable? It is true that he did provide stability and prosperity during his long reign, but it is questionable whether the survival of the Principate through the disastrous Julio-Claudian dynasty and the phases of extreme instability and corruption of the later empire were a result of the foundations laid by Augustus or simply the natural needs of the administration of such a vast and wealthy empire. Dolors Brilliant review of a great work I will definitely read again! Michael Perkins Edward: per your detailed response to me above, it has only proven more true since you wrote that. Δεν ξέρω ποιά είναι τα συστατικά που κάνουν ένα βιβλίο ξεχωριστό, λογικά κάθε αναγνώστης έχει τα δικά του ιδιαίτερα κριτήρια, αλλά επιτρέψτε μου να πω, ο Αύγουστος είναι ένα από τα σημαντικότερα ιστορικά μυθιστορήματα που γράφτηκαν ποτέ. Θές που έχω έναν έρωτα στη Ρώμη και στα μνημεία της; Θες που έχω άλλον έναν στο μύθο της Κλεοπάτρας και την Αίγυπτο; Ή στο τέλος τέλος, δείξτε μου έναν άνθρωπο που δεν τρελαίνεται για μια δυνατή ιστορία αγάπης. Γιατί μη σας ξενίζει ο τίτλος ή το οπισθόφ ΘΡΙΑΜΒΟΣ! Δεν ξέρω ποιά είναι τα συστατικά που κάνουν ένα βιβλίο ξεχωριστό, λογικά κάθε αναγνώστης έχει τα δικά του ιδιαίτερα κριτήρια, αλλά επιτρέψτε μου να πω, ο Αύγουστος είναι ένα από τα σημαντικότερα ιστορικά μυθιστορήματα που γράφτηκαν ποτέ. Θές που έχω έναν έρωτα στη Ρώμη και στα μνημεία της; Θες που έχω άλλον έναν στο μύθο της Κλεοπάτρας και την Αίγυπτο; Ή στο τέλος τέλος, δείξτε μου έναν άνθρωπο που δεν τρελαίνεται για μια δυνατή ιστορία αγάπης. Γιατί μη σας ξενίζει ο τίτλος ή το οπισθόφυλλο, ο Αύγουστος είναι πολλές ξεχωριστές ιστορίες αγάπης ραμμένες μαεστρικά σε μία απολαυστική ιστορική αφήγηση. Αγάπης προς την οικογένεια, αγάπης προς τις τέχνες τα γράμματα και τον πολιτισμό, αγάπης προς το καθήκον και τους πολίτες οι ζωές των οποίων κρέμονται από τα χέρια του κυβερνήτη τους, αγάπης προς τη μαγική φύση του άνθρωπο που ερωτεύεται διαρκώς πολεμώντας μανιασμένα στο όνομα του (κάθε φορά) μοναδικού, τρομαγμένος στην ιδέα και μόνο της μοναξιά του και της φθαρτότητα της ύλης του. Ονόματα όπως Ιούλιος Καίσαρας, Βρούτος, Μάρκος Αντώνιος, Βιργίλιος, Νέρωνας, Ηρώδης, Δαμασκηνός, Οκτάβιος και φυσικά αυτό της Κλεοπάτρας, παρελάζουν μπροστά στα μάτια του μαγεμένου αναγνώστη μέσω επιστολών που γράφουν ο ένας προς τον άλλο. Επιστολές δολοπλόκων, κατασκόπων, φίλων αλλά και εχθρών, εξομολογήσεις φθόνου και μίσους αλλά φυσικά και άσβεστου έρωτα και πάθους. Όσο ψηλά και αν βρίσκεται κανείς στη σκάλα της εξουσίας, δε διαφέρει σε αντιδράσεις και αισθήματα από αυτόν που βρίσκεται στην άλλη μεριά της σκάλας. Τα πάντα γίνονται για τη συντριπτική κατάκτηση του αντικειμένου του πόθου που είναι κάθε φορά και άλλο. Για τον πλούτο, για την δόξα, για την οικογένεια. Για το καλό της Ρώμης. Και εγώ δε σταμάτησα να γυρίζω τις σελίδες. Γρήγορα στην αρχή αλλά με σύνεση και προσοχή στο τέλος κάνοντας κάτι σαν οικονομία στις σελίδες του Αύγουστου για να μη μου τελειώσει! John Williams only wrote three books once he became a mature writer—his first he disowned—and they're all excellent. Unfortunately, this book is the last of the three I've read. There's a peculiar sadness when you finish the last book by one of your favorite deceased authors, the usual morose feeling of leaving a world only compounded by the knowledge you'll never again hear that voice for the first time. Kind of a bummer. The first surprise of this book was John Williams ratcheting up the diffic John Williams only wrote three books once he became a mature writer—his first he disowned—and they're all excellent. Unfortunately, this book is the last of the three I've read. There's a peculiar sadness when you finish the last book by one of your favorite deceased authors, the usual morose feeling of leaving a world only compounded by the knowledge you'll never again hear that voice for the first time. Kind of a bummer. The first surprise of this book was John Williams ratcheting up the difficulty from his earlier works; while Butcher's Crossing and Stoner describe a single person's point-of-view, explaining the life of the first Roman emperor is too much for that approach. So Williams goes with an epistolary structure, all the better to stay closest to his characters and remain their vivid qualities. We see Augustus struggle to gain and maintain power, but with a burden (a debt?) that only becomes clear in the waning pages. It's kind of frustrating to review Williams stuff, because it's so fully-formed and cohesive that it seems a crime to pick it apart and analyze what works and why it does. I just want to buy a bunch of copies of his stuff and run around shoving it into people's hands instead. I will say, though, that John Williams's amazing strength comes from an amazing grasp of reflective intimacy. It's really unlike any other author I've read, and he'll flip into that mode for the last 20-25 pages of each novel and absolutely nail it. It makes for the best endings, and some of the best writing I've read. Έχω διαβάσει πολλές φορές ότι η Ρωμαϊκή Αυτοκρατορία διαμόρφωσε τον κόσμο και συνεχίζει να τον διαμορφώνει μέχρι και σήμερα – το πόσο ακόμα, άγνωστο, πάντως σίγουρα πολύ. Το γεγονός όμως ότι τα βιβλία Ιστορίας είναι γενικώς βαρετά και πρέπει να έχεις πραγματική λόξα για να τα διαβάσεις, δε βοηθάει την κατάσταση. Αν και ο συγγραφέας στον πρόλογό του ξεκαθαρίζει πως πρόκειται για έργο φαντασίας και έτσι επιθυμεί κι ελπίζει να το διαβάσουν οι αναγνώστες του, ο Αύγουστος μπορεί να γεννήσει κάλλιστα Έχω διαβάσει πολλές φορές ότι η Ρωμαϊκή Αυτοκρατορία διαμόρφωσε τον κόσμο και συνεχίζει να τον διαμορφώνει μέχρι και σήμερα – το πόσο ακόμα, άγνωστο, πάντως σίγουρα πολύ. Το γεγονός όμως ότι τα βιβλία Ιστορίας είναι γενικώς βαρετά και πρέπει να έχεις πραγματική λόξα για να τα διαβάσεις, δε βοηθάει την κατάσταση. Αν και ο συγγραφέας στον πρόλογό του ξεκαθαρίζει πως πρόκειται για έργο φαντασίας και έτσι επιθυμεί κι ελπίζει να το διαβάσουν οι αναγνώστες του, ο Αύγουστος μπορεί να γεννήσει κάλλιστα την επιθυμία σε κάποιον να μάθει περισσότερα και γιατί όχι, να αγαπήσει τελικά τα ιστορικά βιβλία, αν και συνήθως οι λέξεις συναρπαστικό και ιστορικό βιβλίο - για μένα πάντα - δεν πάνε μαζί. Όσο λιγότερο ή περισσότερο κι αν προσεγγίζει την αλήθεια, δεν παύει να είναι ένα αριστούργημα. Τρομερός ο Γουίλιαμς να επιχειρήσει κάτι το τόσο κραυγαλέα τολμηρό (και να το πετύχει!) Παρά τον όγκο του και παρά το θέμα του, το βιβλίο είτε το πιάνεις και ξεχνάς να το αφήσεις, είτε μπορεί να το έχεις στην άκρη για μέρες και μέσα σε μια-δυο προτάσεις να έχεις ξαναμπεί στο κλίμα του. Σπουδαίο κατόρθωμα αν το καλοσκεφτείς, τουλάχιστον έτσι φάνηκε σε μένα που είμαι γενικά άπιστη αναγνώστρια, πολλά πολλά βιβλία ανοιχτά εδώ κι εκεί μέσα στο σπίτι. Το συγκεκριμένο το διάβαζα παράλληλα με του Ραφαηλίδη, μόνο και μόνο γιατί το βράδι διαβάζω ebooks και ο Αύγουστος δε βόλευε την τεμπελιά μου. Διαφορετικά θα ήταν από τα ελάχιστα που θα διάβαζα μόνο του. Despite the enormous power Augustus wields, what makes this novel interesting is the presentation of an extraordinary man as relatable and sympathetic. He is an undoubtedly smart person who seizes circumstance with great skill, but is ultimately just a man — despite pretensions to Godhood — and thus no more powerful or pitiable when left alone with his regrets than anyone else. It's impossible for me not to make comparisons with William's prior novel Stoner, which I finished recently and thought was a masterpiece. Augustus is understandably very different in tone; it's like taking in a bombastic orchestra after enjoying an intimate show by a single man with a guitar. Yet this still feels like the more warm novel of the two despite the grand scale and bloody subject matter; themes revolve around failure like in Stoner, but there is a stronger focus on friendship and politics, with a warm humanism about the former and exasperation with the latter. I decided upon giving Williams' epistolary fiction a four-star rating, because the elegant writing—which adheres to the classical form that it emulates to an impressive degree—is a pleasure to behold, and does an admirable job of situating a handful of important personages—mostly friends, family, or rivals of the titular empire founder—within the confines of the principal themes that the author wished to explore: the alienating and intoxicating aspects of power, whether in the arena of the polit I decided upon giving Williams' epistolary fiction a four-star rating, because the elegant writing—which adheres to the classical form that it emulates to an impressive degree—is a pleasure to behold, and does an admirable job of situating a handful of important personages—mostly friends, family, or rivals of the titular empire founder—within the confines of the principal themes that the author wished to explore: the alienating and intoxicating aspects of power, whether in the arena of the political, the familial, or the sexual; the intermingling elements of tragedy and comedy that underscore our human endeavors in the remorseless face of inexorable time and inevitable death; the degree to which a single human can adapt himself to the requirements of the role that society and destiny have chosen for him to perform; the manner in which our loneliness, which is omnipresent, assumes a growingly unbearable weight with the passing of the years and the friendships that we rely upon to carry us through each day; and the juxtaposition of our striving to infuse a permanence to our accomplishments with the bitter knowledge that nothing human can or will last—that our most magnificent achievements, paid for with unrecoverable time and energy, will perforce be rendered to dust at some point within the onrushing, veiled immensities of the future. Yet I hesitated with this rating, because there is something cold and distant, something ultimately unsatisfying in this historical novel that left me feeling a touch deflated, a tad disappointed, when the final page had been reached. A story which relates so many human triumphs and failings, which undertakes such a psychological survey of dominant personalities and momentous events, should, I believe, have proved more moving, more stirring than this book actually managed to be. I enjoyed it, and I'm intensely drawn to this period of our temporal journey, but, in the end, something was just slightly...off. Octavius Caesar, the August, was thrust into a central role in the Roman Republic upon the assassination of his great-uncle—and adoptive father—Julius Caesar, one into which he entered with an inward relish fueled by the ambitions and desires of youth; but the bloody pact with Marcus Antonius necessitated by a looming civil war—and a terrible betrayal by one of his closest companions—very quickly educated the young triumvir about what exactly he was entering into, what his ambitions would require of him, what means he must accede to if he was to realize his noble end: to bring peace and stability to the vast Roman Republic by imposing his will upon the merciless conflict between the Aristocratic and Popular parties, a competition that had watered the Mediterranean soil with rivers of blood. Until the third—and final—part, Octavius is spoken of in the second or third person in the correspondences of his colleagues, his enemies, and his closest friends. For me, the best epistolary offerings are those of Gaius Maecenas, an extravagant and exaggerated intellectual and influential patron of the arts who is also Octavius' close friend, confidant, and subtly capable administrative lieutenant; Marcus Antonius, whose fatal commingling of brio and courage with recklessness and impetuosity Williams truly nails; and Julia, the emperor's beloved but willful daughter who, chafed by her confining existence as political spouse for her father's designated successors, abandons herself to her own power games inside the realm of sexual conquest with dangerously ambitious lovers. When we do hear the voice of Augustus in the final section, composed as a long, ruminative letter to a Jewish friend, it is with a weary wisdom, endeavoring to explain the requirements he imposed, and had imposed upon him, by the awesome responsibility he bore as head of an immense amalgamation of realms and peoples. He has not been made bitter by his wielding of absolute power, but tired—and when he tallies the toll this power has taken on both him and his loved ones, the great charade he has enacted over almost sixty years yields an elegiac air. Still, when all is said and done, Augustus does not quite satisfy. Williams takes admitted liberties with the timeline of certain historical events, and provides his own twists upon the character of those personalities who strode the stage as Republic became Empire; but this is something that any reasonable reader will willingly concede to the author. Yet the choice for expressing the viewpoint of a few of these personages was questionably made: for instance, Marcus Agrippa was an exact contemporary of Octavius Caesar, a stolid, earthy individual who proved a remarkably successful and competent general and lifelong trouble-shooter for his boyhood friend, married eventually to Julia and seemingly destined to have his own blood flow in the Imperial line; and yet his only entries are selections taken from an unfinished memoir, written to carefully uphold conventionally cherished, propagandistic truths while keeping an honorable distance between sovereign and soldier. There would have been few people who could have provided a more accurate picture of the human being wrapped within the imperial monarch than Agrippa, but he delivers nothing we could not find in the Res Gestae Divi Augusti or Cassius Dio. Το 2018 φαίνεται πως θα είναι η χρονιά που θα γνωρίσω (και θα αγαπήσω) βιβλία που κάποτε δεν θα τα κοιτούσα καν. Για αυτό θα πρέπει να ευχαριστήσω το καλύτερο κομμάτι του εαυτού μου που με έπεισε να μην είμαι τόσο αφοριστική και να δώσω μια ευκαιρία στον John Williams. Πόσο χαίρομαι που εντέλει το έπιασα στα χέρια μου και πέρασα ένα δεκαήμερο απολαυστικής ανάγνωσης και ελπίζω να διαβάσω και τα υπόλοιπα βιβλία του σύντομα. Ο «Αύγουστος» είναι ένα ιστορικό μυθιστόρημα σε επιστολική μορφή και κεντρικός του ήρωας δεν είναι μοναχά ο Οκτάβιος (που τον γνωρίζουμε μέσα από τα γράμματα των εχθρών αλλά και των φίλων του) αλλά και η ίδια η Ρώμη. Η ιστορία ξεκινάει λίγο πριν δολοφονηθεί ο Ιούλιος Καίσαρας και από εκεί μας ταξιδεύει μέσα από τις δολοπλοκίες, τους εμφύλιους πολέμους και τα παιχνίδια εξουσίας διαφόρων χαρακτήρων των οποίων τα ονόματα τα έχουμε όλοι ακουστά από το μάθημα ιστορίας. Η γραφή του Williams είναι εκπληκτική. Καταφέρνει να μεταμορφώσει ένα κείμενο που θα μπορούσε να είναι ανιαρό και στεγνό από συναίσθημα σε ένα μυθιστόρημα που σε τραβάει να γυρίζεις συνεχώς στις σελίδες του. Οι χαρακτήρες είναι τόσο ζωντανοί που μέχρι το τέλος της ανάγνωσης έχεις δεθεί μαζί τους σε τόσο βαθμό που όταν τελειώσεις το βιβλίο θα νιώσεις πως εγκαταλείπεις μια γνώριμη παρέα. Το στοιχείο που με κέρδισε περισσότερο είναι η πολυφωνική μορφή του βιβλίου , κυρίως γιατί μέσα από την διαφορετική οπτική γωνία των χαρακτήρων μπορείς και σχηματίζεις μια πιο σφαιρική άποψη για τον Οκτάβιο αλλά και για την κοινωνική ζωή της Ρώμης. Υπήρξαν πολλοί ήρωες των οποίων τα γράμματα λάτρευα να διαβάζω αλλά και άλλοι που με έκαναν να σκεφτώ αρκετά όπως παραδείγματος χάριν οι καταχωρήσεις της Julias, κόρης του Οκτάβιου. Νομίζω ότι αυτός ο χαρακτήρας ήταν η προσωποποίηση των θυσιών και των κοινωνικών προβλημάτων που γεννιόντουσαν μαζί με μια γυναίκα την τότε εποχή. Όλοι όμως οι χαρακτήρες (και ήταν πάρα πολλοί) ήταν καλογραμμένοι, με δική τους ξεχωριστή φωνή και για να είμαι ειλικρινής μου ήταν όλοι συμπαθείς. Στο τέλος του μυθιστορήματος ο συγγραφέας μας χαρίζει και την δυνατότητα να διαβάσουμε κάτι και από τον Οκτάβιο ώστε κλείνοντας το βιβλίο να μην έχει αφήσει καμία εκκρεμότητα στον αναγνώστη. Εν κατακλείδι , το προτείνω σε όλους όσους αποζητούν ένα καλό βιβλίο για να κουρνιάσουν μαζί του στον καναπέ παρέα με ένα ποτηράκι κρασί. Meraviglioso struggente ritratto di Augusto, l'imperatore e l'uomo. ​Meraviglioso struggente ritratto di Augusto, l'imperatore e l'uomo. Insolita la tecnica narrativa, ovvero una sorta di collazione delle fonti scritte, in questo caso interamente rimaneggiate o inventate: lettere, documenti, pagine di diario, che, oltre a scandire le varie tappe della carriera politica e della vita privata di Ottaviano, calano il lettore nel clima politico e culturale dell'epoca, dall'uccisione di Giulio Cesare nel 44 a.C. fino al 14 d.C., anno della morte di Augusto. Dopo un iniziale moto di disappunto nei confronti di questa scelta, per timore di trovarla arida, disorganica o limitativa, si viene assorbiti dal meccanismo narrativo fino a convincersi che nessun altro modo di ricostruire le vicende sarebbe stato altrettanto appropriato, o addirittura possibile. Il merito è della straordinaria prosa di Williams che, trasformandosi nei modi e nei toni in base alle diverse personalità chiamate in causa per dare la loro visione dei fatti, ricrea non tanto la verità storica suffragata dalle testimonianze, quanto piuttosto lo spirito del tempo percepito attraverso i sentimenti individuali dei protagonisti. 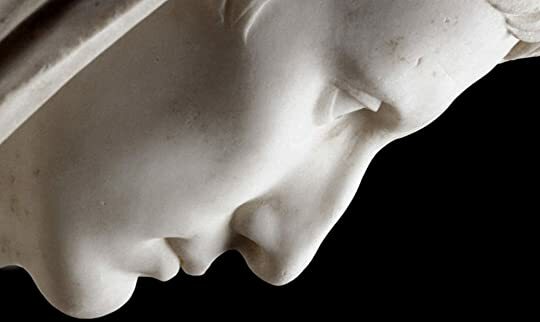 Giulia, Livia, Tiberio, Mecenate, Cicerone, Agrippa, Antonio e Cleopatra, Orazio, Ovidio...: anche questi "interpretati" - plasmati, umanizzati e ingigantiti - dalla sensibilità, dalla fantasia e dall'arte di questo sorprendente scrittore. Il risultato è un quadro di insieme delicato ed implacabile, che trafigge il lettore con la forza della passione e della poesia. E l'Augusto che ne emerge è un semidio per il popolo, un grande statista per i seguaci ed un pericoloso avversario per i nemici; ma nell'intimo è un piccolo uomo tormentato dall'antitesi tra i doveri del suo ruolo pubblico e gli affetti legati alla sfera privata. Disperatamente solo. This is my third book by John Williams and it has once again blown me away. All of this authors books are incredibly different but all are equally brilliant. This one, told in epistiolary form in 3 parts. The first tells the story of Gaius Octavius who is destined to become Caesar Augustus the first Roman emperor. The second is mostly a journal by Julia, daughter of Augustus telling her story after she has been banished to an island for her adultery and the third is told by Augustus himself, it is This is my third book by John Williams and it has once again blown me away. This one, told in epistiolary form in 3 parts. The first tells the story of Gaius Octavius who is destined to become Caesar Augustus the first Roman emperor. The second is mostly a journal by Julia, daughter of Augustus telling her story after she has been banished to an island for her adultery and the third is told by Augustus himself, it is the reflections of an old man nearing the end of his life and he is reflecting on his many bad deeds but also the great good he has done for Rome. You can see reading these letters, which although fictional read as if they are fact, that everyone is ambitious and that power is their main motivation. Caesar Augustus was Rome and Rome was Caesar Augustus. Everything he did was for the good and glory of Rome including the banishment of his beloved daughter Julia to Pandeteria due to her innumerable affairs. He also used the women in his family ,his sister and his daughter by arranging marriages to men who could advance the cause. The writing here is so very good, written and published 1972 this is sadly the last book he gave us but what a way to end. Si potrebbe parlare a lungo del vero poetico e vero storico manzoniano che ritroviamo pienamente in quest'opera ma, in realtà, la fluidità e la ricchezza della scrittura di Williams oltrepassano questo aspetto. Ammetto che inizialmente faticavo a farmi coinvolgere, complice un pregiudizio sulla forma epistolare che consideravo un ostacolo. Invece, proprio questa struttura è consona a dipingere l'immagine di un personaggio come Ottaviano Cesare Augusto. Un coro di voci si dispiega creando un armonico legame come note s'un pentagramma. Certo è che Augusto è da più parti tratteggiato come umanamente arreso ad un compito da cui non poteva sottrarsi secondo il ritrito principio de "il fine che giustifica i mezzi". Certo è che Augusto è stato un personaggio talmente saccheggiato dalla retorica demagogica fascista che qualche prurito me l'ha dato. Williams precede il racconto ringraziando il lettore invitandolo a "prendere l'opera per quello che è, ossia un'opera dell'immaginazione". Io ringrazio Williams per non aver giocato col lettore ingannandolo come spesso si fa creando false aspettative ma confessando la verità dell'immaginazione. Πρόκειται για ένα πολυφωνικό, επιστολικό, ιστορικό μυθιστόρημα, εντυπωσιακό τόσο στη σύλληψη όσο και στην εκτέλεση. Αν και ο ίδιος ο συγγραφέας στην εισαγωγή λέει πως «αν υπάρχουν αλήθειες σε αυτό το έργο, είναι μάλλον οι αλήθειες της λογοτεχνίας παρά της Ιστορίας», ο Γουίλιαμς είναι πολύ προσεκτικός και χρησιμοποιεί τα ιστορικά πρόσωπα όπως τους πρέπει. Το κάθε πρόσωπο έχει τη δική του φωνή, τον τρόπο να εκφράζεται αλλά και να βλέπει τα πράγματα. Αν και αυτό είναι ένα πολύ διαφορετικό μυθιστόρημα από τον Στόουνερ, ωστόσο κάποια θέματα είναι κοινά και στα δύο. Τον συγγραφέα φαίνεται να τον απασχολεί πολύ η σχέση εξουσίας και ατόμου, το πώς οι περιστάσεις και η εξουσία- η δικιά μας και των άλλων- διαμορφώνουν αυτό που είμαστε. Και πώς η προσωπική μας ζωή- ο έρωτας, η οικογένεια- βάλλεται από τα πρέπει της κοινωνίας και της πολιτικής. Στο πρώτο μέρος παρακολουθούμε την αναρρίχηση στην εξουσία του Γάιου Οκτάβιου, ενός μάλλον πληβείου και ασθενικού νεαρού που κερδίζει την συμπάθεια του μεγάλου του θείου Ιούλιου Καίσαρα ο οποίος τον υιοθετεί. Ο Οκτάβιος καταφέρνει να κατατροπώσει τους εχθρούς του, να νικήσει στον εμφύλιο πόλεμο, να κερδίσει ακόμα και τον πιο ισχυρό άντρα της εποχής, τον Μάρκο Αντώνιο και την βασίλισσά του Κλεοπάτρα. Παρ’ όλα αυτά φαίνεται πως είναι ένας άντρας που δεν λαμβάνει ικανοποίηση από την εξουσία και τα πλούτη, ίσως θα προτιμούσε να είναι συγγραφέας ή μελετητής. Οι φίλοι του τον ακολουθούν πιστά από την αρχή, τον λατρεύουν. Στο δεύτερο μέρος πρωταγωνιστικό ρόλο παίρνει μια γυναίκα, η κόρη του Αύγουστου, Ιουλία. Ένα κορίτσι που ο πατέρας του το μορφώνει σαν να ήταν αγόρι, αλλά δεν σέβεται την προσωπική του ζωή. Την παντρεύει από πολύ μικρή με βάση πολιτικές σκοπιμότητες. Στην αρχή η Ιουλία το ανέχεται, όμως με τον τρίτο της σύζυγο, παιδί της τρίτης γυναίκας του πατέρας της, αποθρασύνεται. Αρχίζει να έχει εραστές, τη συζητά όλη η Ρώμη. Και τελικά έρχεται η καταστροφή. Το μυθιστόρημα διατηρεί έναν μάλλον κρύο και αποστασιοποιημένο ρυθμό καθ’ όλη τη διάρκειά του. Οι πολλές οπτικές γωνίες φωτίζουν τις πλευρές των πραγμάτων, αλλά δυσκολεύουν τον αναγνώστη να ταυτιστεί. Έχει ένα μεγαλείο αυτό, μια αίσθηση που ταιριάζει στον Αύγουστο. Ακόμα κι αν μιλά για τις πιο ανθρώπινες στιγμές του, δεν ξεχνά ποτέ πως πρόκειται για αυτόν τον πανίσχυρο άντρα. Για αυτό και δεν τον αφήνει να μιλήσει ο ίδιος για τον εαυτό του παρά μόνον στο τέλος, όταν ξέρει πως θα πεθάνει. Το μυθιστόρημα κρατά αμείωτο το ενδιαφέρον του αναγνώστη, που ξέρει και δεν ξέρει την ιστορία: γνωρίζει τα βασικά ιστορικά γεγονότα και πρόσωπα, αλλά η ανάλυση των κινήτρων, των τρόπων, των προσωπικοτήτων είναι τόσο βαθιά, που φαίνεται σαν να διαβάζει μια άλλη καινούργια εκδοχή. Μας έχει μείνει πια μόνο ένα αμετάφραστο βιβλίο του John Williams- αν εξαιρέσει κανείς το αποκηρυγμένο πρωτόλειο. Εύχομαι να είχε γράψει κι άλλα. Από την άλλη, είμαι χαρούμενη, που τελικά κέρδισε τη μάχη με τη λήθη και τον διαβάσαμε. This book is an epistolary which means that it is written entirely in letters. The focal point of these letters is Augustus and how he came to power in ancient Rome. It starts with the murder of Julius Cæsar in the Senate, and it follows Augustus as he grows up and becomes one of the biggest emperors of Rome. I was very excited about this story, but admittedly I was also very sceptical about it being told through letters. However, I quickly realized that this narrative style appealed to me a lot This book is an epistolary which means that it is written entirely in letters. The focal point of these letters is Augustus and how he came to power in ancient Rome. It starts with the murder of Julius Cæsar in the Senate, and it follows Augustus as he grows up and becomes one of the biggest emperors of Rome. I was very excited about this story, but admittedly I was also very sceptical about it being told through letters. However, I quickly realized that this narrative style appealed to me a lot because John Williams does it really really well. The multiple points of view make sure to create a fast and interesting pace, and the fact that the book is split into three parts with each its own protagonist gives the reader a close connection to the most important persons. I don't know how John Williams does it, but he makes ancient Roman history interesting! I learned a lot while reading this, and I recognized some aspect of Roman culture with a smile on my face: aspects such as the gladiators and their fights as well as the elaborate Roman feasts. Μετά από ένα δεύτερο πέρασμα αλλάζω από 4 σε 5 αστέρια γιατί πρόκειται για αριστούργημα. John Williams's Augustus is one of only four novels the author wrote. I have now read two of them, this one as well as Stoner. That leaves only Butcher's Crossing and an early effort from 1948 that Williams would rather forget called Nothing But the Night. If the two I have NOT read are anywhere near as good, Williams could be a candidate for the best American novelist in the Postwar Period. There is little in common between Stoner -- about the life of a college professor at a Midwestern universi John Williams's Augustus is one of only four novels the author wrote. I have now read two of them, this one as well as Stoner. That leaves only Butcher's Crossing and an early effort from 1948 that Williams would rather forget called Nothing But the Night. If the two I have NOT read are anywhere near as good, Williams could be a candidate for the best American novelist in the Postwar Period. There is little in common between Stoner -- about the life of a college professor at a Midwestern university -- and Augustus, an epistolary fictional biography of the Roman emperor. The book concentrates on three periods: (1) the consolidation of power after the death of Julius Caesar and the defeat of Marc Antony; (2) the scandal of his daughter's forced exile; and (3) his death. The young man, who does not know the future, sees life as a kind of epic adventure, and Odyssey through strange seas and unknown islands, where he will test and improve his powers, and thereby discover his immortality. The man of middle years, who has lived the future he has once dreamed, sees life as a tragedy; for he has learned that his power, however great, will not prevail against those forces of accident and nature to which he gives the names of gods, and has learned that he is mortal.But the man of age, if he plays his assigned role properly, must see life as a comedy. For his triumphs and his failures merge, and one is no more the occasion for pride or shame than the other; and he is neither the hero who proves himself against those forces, nor the protagonist who is destroyed by them. Like any poor, pitiable shell of an actor, he comes to see that he has played so many parts that there no longer is himself. Williams shows us an emperor who is the opposite of flamboyant -- a man no one would pick out in a crowd. Yet he was without a doubt the greatest of Roman leaders.